Detail shots of Richard Saja’s Lost Girls pieces. 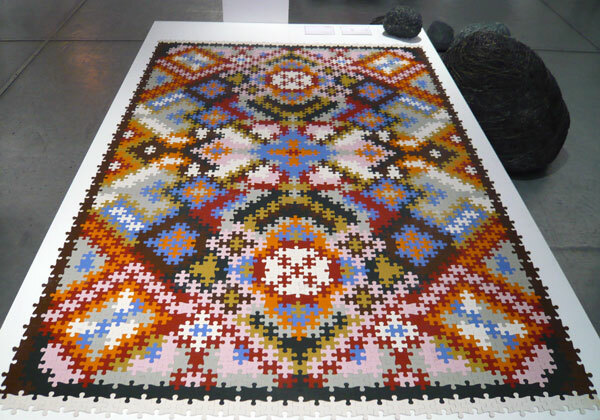 Katrin Sonnleitner’s Persian Puzzle. Currently just a prototype (estimated to be available for purchase in early 2008), the Persian Puzzle is a customizable floor or wall covering made of natural and synthetic rubber. The Glass Drawings by Jane D’Arensbourg were super nice. The glass pieces cast beautiful shadows on the paper and add a great three-dimensionality to the piece. If you are in the New York/Brooklyn area, be sure to check out “Make Time for a Green Cause”, a fundraiser/design challenge being held at Spring in collaboration with Rob Price (of Thwart Design who make the fabulous Grandfather Clock, which I have totally been coveting!) on November 16th from 6-9 pm. The challenge is to design and fabricate a “green” clock using recycled or recyclable materials. Entries are being accepted until November 11th at Spring and the top thirty juried clocks will be exhibited and auctioned off at the November 16th opening. For more information (including links to fabricators and a tutorial on how to make a green clock), check out the Make Time website. All proceeds from the fundraiser will go to benefit Trees for the Future, a non-profit reforestation organization. For every dollar raised, ten trees will be planted. 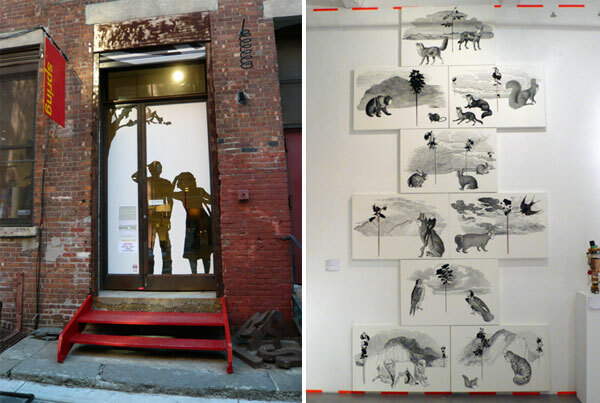 Spring is located at 126a Front St. in DUMBO, Brooklyn.